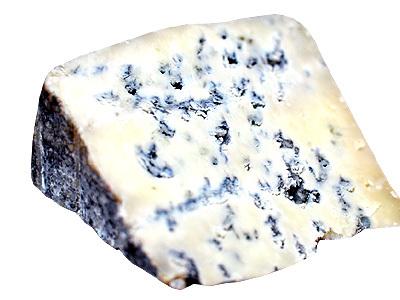 Blue cheese is made with milk from cow, goat or sheep. It requires a maturation of at least 2 months at optimal temperature and moisture for the fungus Penicillium roqueforti to proliferate. That fungus is the responsible for the gray, blue or green tones of the cheese and a flavor that can be strong, somewhat spicy, with a bitter touch, fatty and buttery on the palate without being too much salty or spicy but very aromatic in all cases. Fat content in blue cheese usually ranges from 40 to 55%. The blue cheese is highly valued for its pungent, acrid taste and can be served alone, as a side dish in hot freshly grilled meats like steaks and in salads. Any cheese made from cow, sheep or goat milk may become blue cheese if given the proper treatment. 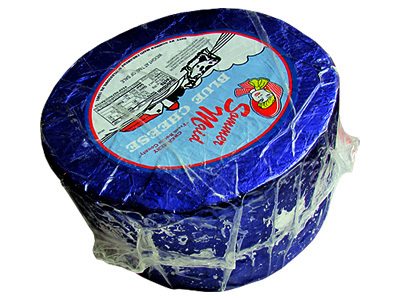 Blue stains of this cheese are developed after a special aging process and are caused by mold, which gives the blue cheese its sharp flavor and odor. 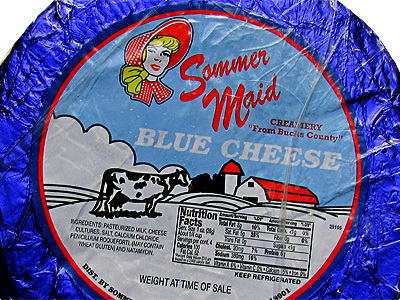 Blue cheese can be hard and crumbly or soft and creamy, depending on the processes they undergo during curing.